Applying for a home loan means a mortgage lender will pull a credit report. Pulling a credit report results in a “Hard Inquiry” appearing on the loan applicants credit report. There are many misconceptions out there relative to how hard inquiries impact a borrowers credit score. What is a “Hard Inquiry”? A hard inquiry (as opposed to a “soft inquiry”) is one used for the purpose of determining whether or not a consumer is a good credit risk. This type of inquiry shows the creditor (ex: mortgage lender) the applicant’s credit score. It also shows each of the tradelines that currently appear on their credit. A hard inquiry may impact a consumer’s credit score. There is no one size fits all answer to this question. Credit scores are complex and based on detailed algorithms. To a credit score, a hard inquiry indicates a creditor is considering approving a loan or credit line. Then, a credit score will take that hard inquiry into consideration along with that person’s overall credit profile and determine what both combined say about the person. For example, if a person with an 820 credit score and a spotless credit history incurs a hard inquiry, their credit score may not at all. In contrast, if a person with a 580 credit score incurs a hard inquiry their score may drop 3-5 points or more. While this may seem unfair, it is the credit scoring systems way of letting other creditors know this person is possibly not a good credit risk. Typically multiple inquires in a short period of time will not dramatically impact a borrower’s credit score as long as the inquiries are made within the same type of industry. Click here for more information on this topic. How Long do Credit Inquires Remain on Your Credit Report? 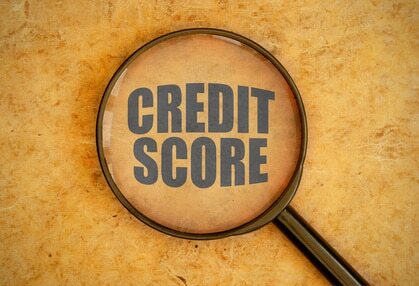 Credit inquiries are tallied or kept track of for 24 months on a credit report. However, FICO credit score algorithms (which are what many mortgage lenders use) only significantly factor hard inquiries from the past 12 months into a consumer’s credit score.